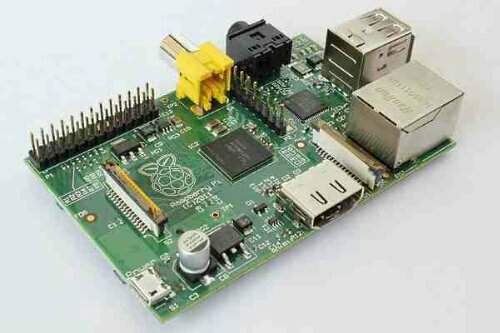 The Raspberry pi is a mini motherboard that you can buy cheaply and install a variety of different Linux distributions on. It has a big community behind it creating all sorts of case mods and new distros to use. Android has been a bit behind on the Raspberry pi because of the RAM limitations. Now however they have it running with hardware acceleration as well. If you want to try this yourself it sounds like you may need to wait a bit. The guys at Raspberry pi are making sure it works nicely before releasing it.